Walser currently operates one Subaru location in Burnsville. This store will remain in Burnsville but will relocate to a brand-new building directly adjacent to Walser Honda on Buckhill Road. The new building, currently under construction, is expected to open in June 2019. 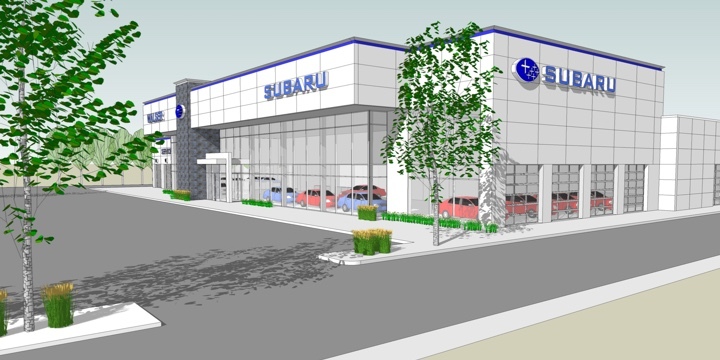 Meanwhile, Walser is adding a second Subaru dealership in South St. Paul. Construction for that store is also underway and is expected to open in September 2019. Built from the ground up, the new South St. Paul Subaru site will feature a 45,000 square foot facility on a 10-acre site with 26 service bays. Whether you’re a Subaru fan or you’re considering the automotive industry for the first time, we’re looking for sales and service candidates to join our team for this exciting next chapter. Instead of performance-based pay, all Walser sales staff are salaried, so they can focus on providing a great customer experience in a commission-free environment. As a “one price” automotive group, our sales staff can confidently work with customers without feeling the pressure to negotiate or upsell unnecessary products. Interested, but don’t have sales experience? No problem! Walser offers a 10-week, comprehensive training program designed to support and guide you to success as a leader on the sales floor. On the service side, our staff work in modern, climate-controlled facilities, and offer a tool budget so you can build your own toolbox. No matter the department, Walser offers competitive employee benefits like our paid family leave program, an open PTO policy, extended training and growth opportunities and a 40-hour work week to support work-life balance. Join Walser as we move forward with these exciting changes for our Subaru stores! And don’t forget to check back often for construction updates and progress reports for these state-of-the-art facilities!